I will say Kalabagh DAM is Heart of Pakistan as it will bring energy to Pakistan. and need of hour is to begin this project Now. 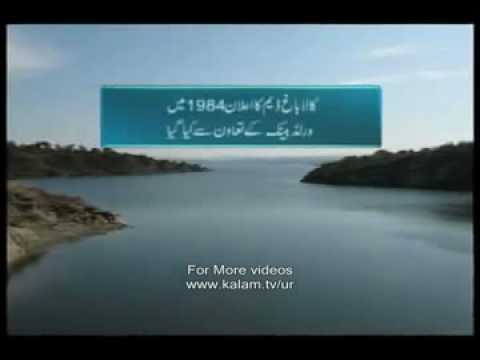 The Kalabagh dam (Urdu: کالا باغ ڈيم‎), is a proposed hydroelectric dam on the Indus River at Kalabagh in Mianwali District of the Punjab province in Pakistan. The project has been highly debated and deemed a necessity since its inception. If constructed with 3,800 MW electricity generation capacity, it will become the largest source of electricity for Pakistan. 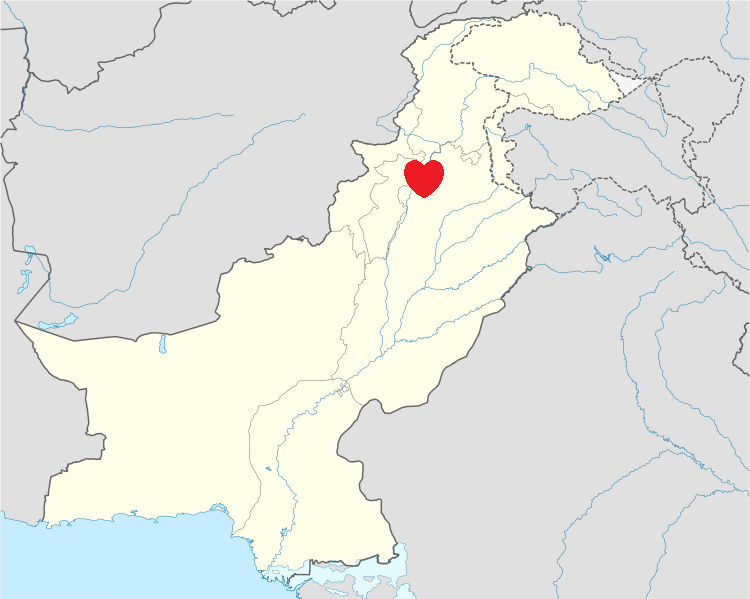 The Kalabagh dam, is a proposed hydroelectric dam on the Indus River at Kalabagh in Mianwali District of the Punjab province in Pakistan. The project has been highly debated and deemed a necessity since its inception. In December 2004, General Pervez Musharraf, President of Pakistan, announced that he would build the dam in the larger interest of Pakistan. On May 26, 2008, Federal Minister for Water and Power of Pakistan, Raja Pervez Ashraf, said that the "Kalabagh Dam would not be constructed" and the project has been cancelled. Unfortunately, many players of political arena in Pakistan carry the contagious germs of greed, dishonesty, bias and incompetence, hence are unable to play wise when it comes to safeguarding national interests. Such is the dirty politics that becomes an effective tool in the hands of anti-national “manipulative strategists” who love to keep corrupting the fate of developmental projects of the highest national value. Recent passage of four resolutions by the Sindh provincial assembly denouncing the latest LHC verdict on the stalled KB dam project is thought provoking. It’s also extremely disappointing that some political leaders are using tough tone uttering threats on the life of Pakistan, they say, “Choose between KB dam and Pakistan.” That’s nonsense, indeed. Most disturbing is the fact that some ‘visionless pigeons in the parliament’ ride the band-wagon to support the ill-designers; thus remain conveniently blindfolded only waiting for their turn to be eaten by the silent killer cat. Although, these pigeons are naive, there is criminal negligence on their part for endangering the whole country. Converting the non issue into political issue on the basis of assumptions or fabricated pretexts is perhaps part of the game plan. Nevertheless, this kind of attitude is an open invitation for potential disaster in totality. And, keeping the proposed project in Limbo isn’t in the best national interests; however, it may only satisfy the bloody plotters. The fact is Pakistan’s ‘lop-sided economy’ faces yet another severe blow to the proposed dam to keep it buried in filing cabinet indefinitely. And the irony is Pakistan doesn’t hesitate when blaming India for building dams. Sadly, the stakeholders (State/non State) are hell bent to resist the construction of KBD. Politicizing a purely technical/administrative matter shows a clear lack of political will on the part of current/former rulers. It’s crystal clear that avoidance of timely solution is not people friendly. Consequently, the relevant bodies responsible for the development and regulation of water resources in the country e.g. the Water and Power Development Authority (WAPDA) and the Indus River System Authority (IRSA) and the National Electric Power Regulatory Authority (NEPRA) continue to be distracted; hence a severe loss to the greater national interest. As reported by various print and electronic media, Kalabagh Dam project is designed to have a live storage capacity of 6.1 million acre feet (MAF), taking care of the capacity loss in reservoirs, it would also make substantial contribution to firming up the irrigation supplies for the projects. This has been originally agreed by the provinces under Water Apportionment Accord (WAA) of 1991. Adding a large amount of cheap hydropower to the National Grid through its 2400 MW (Ultimate 3600 MW) installed power is also included. Also, there would be storage capacity for surplus water in the flood season and it would facilitate the controlled utilization during the “low flow” season. This water would thus be used for agricultural crops from start to the end as needed. In other words, the irrigation oriented operation of the project will give the highest overall economic return. Furthermore, the dam would eliminate the problem of load shedding forever and will reduce the frequency and severity of flooding. According to NEPRA, current demand is 23,000 MWs while the supply remains at 14,000 MWs, therefore, more hydel and thermal power plants are needed to solve the crisis. 1- Generate large amounts of low cost hydro electric power near major load centers, and supply the existing grid for meeting the growing power demand of agriculture, industrial and domestic consumers. In addition, it will increase the energy output of the existing Tarbela scheme by permitting the conjunctive operation of the two reservoirs. 2- Provide additional storage on the Indus River, and thus reduce the exiting system shortfalls in irrigation requirements. 3- Provide additional regulation on the river Indus, and thus provide better system control and management for supplying assured, adequate and timely irrigation water for crops. 4- Compensate for the storage loss due to the silting up of exiting reservoirs till such time that their substitutes, (presently planned) are actually available. 5- Eliminate and control the flood peaks in the River Indus so as to minimize flood hazards downstream. 6- Increase Pakistan’s capability to manage its water distribution and power generation systems through the conjunctive operation of Tarbela and KBD reservoirs. Some reliable sources suggest: Pakistan’s economy has been facing an annual loss of Rs132 billion due to inordinate delay in execution of Kalabagh Dam (KBD) project. As the existing dams have already lost 5.3 MAF due to sedimentation, and this loss would be 6.6 MAF by 2016. Therefore, KBD must be built by 2018 to compensate for the loss in storage capacity. Thus, stopping the proposed project would be a grave blunder against the people of Pakistan. *****The good news is the World Bank is willing to finance the KB dam. The LHC has simply ordered the Federal government to implement 1991 decision of Council of Common Interest (CCI). In fact, when all the four Chief Ministers agreed in September 1991 to construct the Kalabagh Dam, the CCI prepared documentation for the projects in May 1998. Truth is dams are needed for proper management of river waters to improve economic viability and preserve ecosystem. Completing the KBD Project without delay is in the best interest of the country, as it would ensure affordable electricity for agricultural, industrial and domestic sectors. A fair share of irrigation water to all provinces, effective flood control system and production of cheaper electricity are possible with an unbreakable unity among the people as just Pakistanis with no other label. This was and is need of hour to our government to begin and to understand we need energy and resource to run this country rather wasting the precious time for speeches. This Project was Physibility Study was done in 1983 so till today its more than 29years past and still we are struggling with it. And this is the project of the same government who is currently Ruling the country and I do not understand what is the Best internest of this nation even Sindh Province. People of Pakistan need to realize these leader are of no more use and we need to spread the awareness and better choose those who will stand with you in odd and even of times as well people like us, as long as we will be selecting those landlords and looter of this country we will remain the same. If we need a better Pakistan we need to select those who are like us and who are really honest and without property and bank balance. If you want to rule the world all we need to rule our homes and people and chose people who are like us. Us means Muslim and very honest.